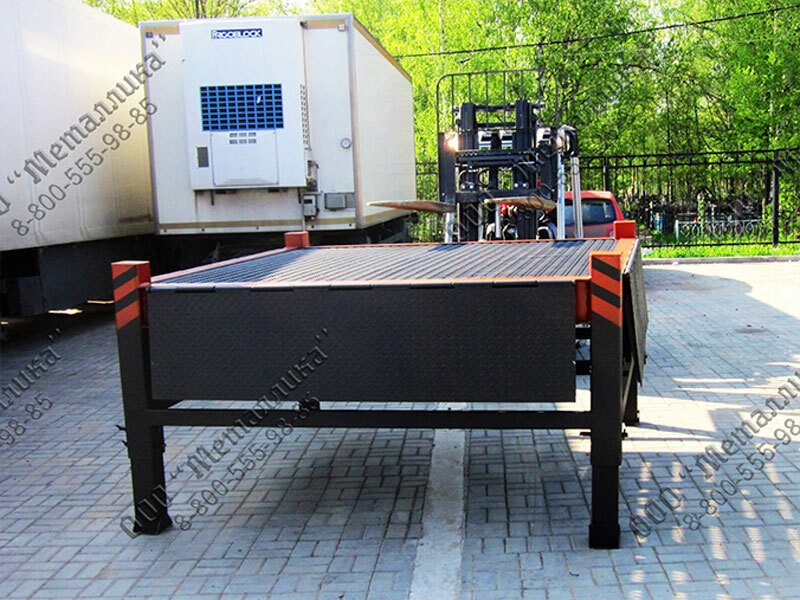 The module is comprised of handling table, which can be manufactured in various modifications according to the task given. The tables are easily joined together forming a large working space. The inclined passing element is essentially a rack which can be both mobile and stationary. 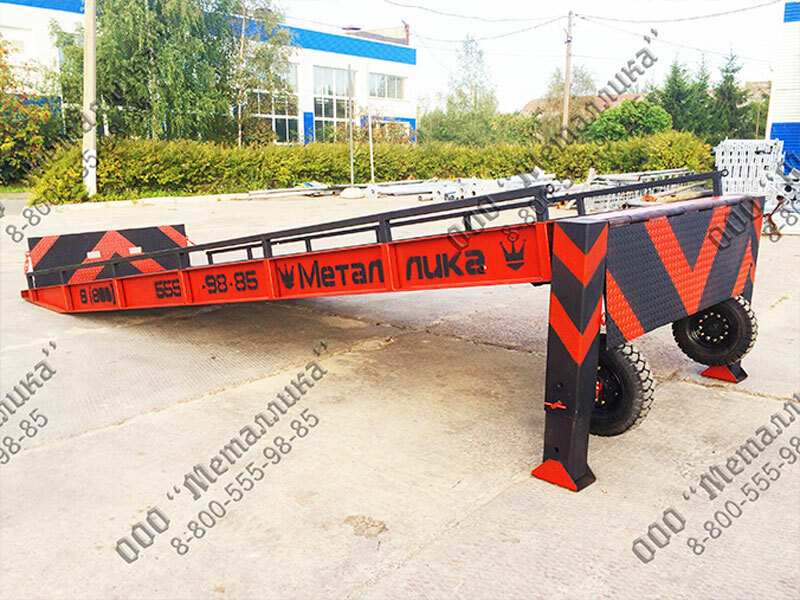 Available in two variants: 7m and 9m length. It can be mounted to the module platform from either side easy to work with. Levelling bridge is great for levelling small height differences between openings, steps existing on-site, etc. 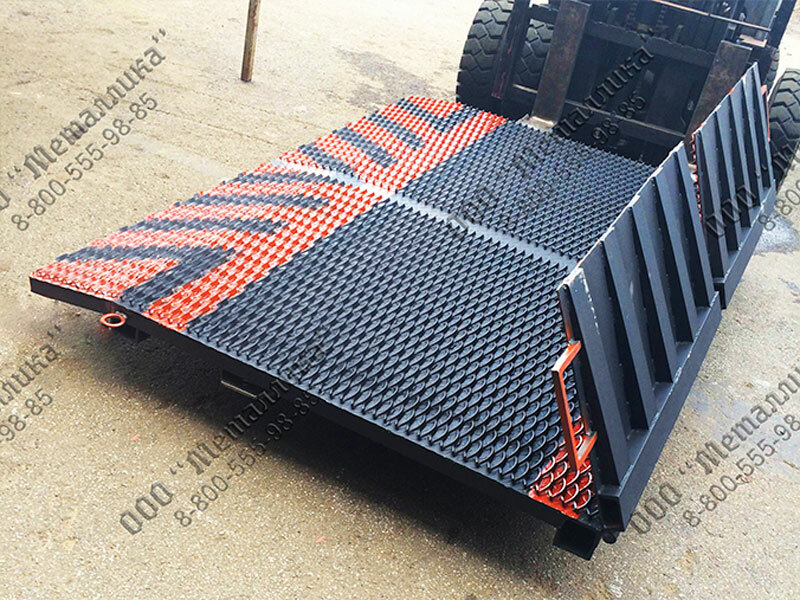 The most popular ones are Levelling container bridges. 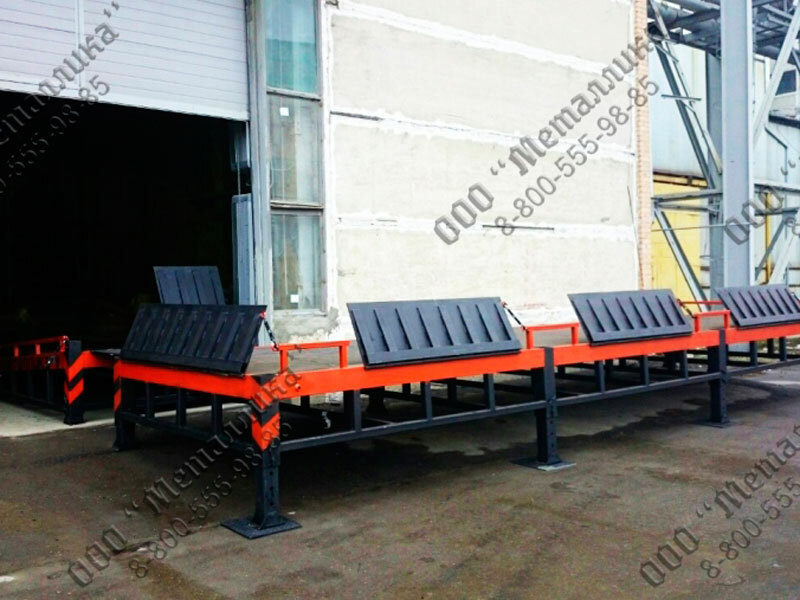 Large loading complexes are consist of typical platform and incline modules or could be custom-made according to your warehouse or production area.